Estate planning is a must whether you are rich or the value of your assets do not amount to much. 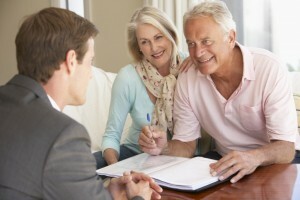 There is a huge misconception that only the rich should have an estate plan. Nonetheless, estate planning is important as it helps you minimize unnecessary costs, confusion and stress for your family members after death. Considered to be one of the most essential documents, a will designates who gets to receive your property and who will act as a guardian for your children. Whether you are wealthy or doing fairly well, you need to have a will as this shows how you’d like your assets distributed, according to a lawyer from Christensenyounglaw.com. Wills go through probate. A probate is a legal process that involves validating your will if you die, identifying and taking stock of your property and assets, paying the necessary taxes and debts and finally distributing the property as your will states. During the probate, a lot of court appearances and technical paperwork are involved. A trust, on the other hand, is expensive to set up, but later gives you an advantage over a will. Wills only work after you’ve died, while a trust works all the time even after you’re incapacitated. Furthermore, with a trust, you are able to avoid probate and access assets quickly thereby saving money and time. This is a written authorization that allows another person to make legal and financial decisions on your behalf when you become disabled or incapacitated. A durable power of attorney survives your later incapacity. Ensure that you only give the power of attorney to someone you trust. Having updated beneficiary designated forms on your assets, life insurance policies, and other accounts is recommended as this help to avoid conflicts within the trust or will. If you’re thinking of estate planning, it’s crucial to talk to an experienced estate planning attorney who will advise you on the next step of action as well as help you draft the documents.